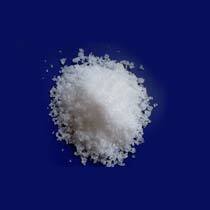 We specialize in manufacturing and supplying of Magnesium Nitrate. We supply premium quality Magnesium Nitrate Powder that is widely used in different industrial sectors such as agriculture, ceramics, printing, etc. We offer accurately composed Magnesium Nitrate that is pure, effective and easy to use. Clients can avail Magnesium Nitrate from us in bulk quantities at fair prices.